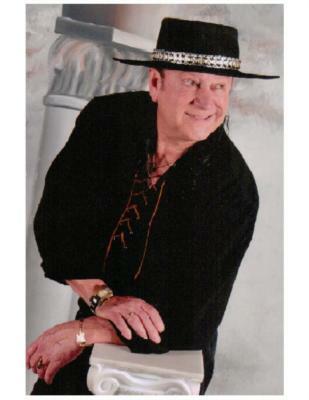 For nearly twenty five years Glenn Dale Fontenot has been performing as a solo artist, in a duo act called Glenn And Kitty, America's Musical Duo, and he is the front man for The Renegades Band established in 1995. The Duo and the Band are currently inactive and not available. Fontenot has performed, nation-wide, at countless public venues and private events. He has also appeared on numerous radio and TV programs. Performing solo, this talented vocalist uses a laptop computer to generate his backup music and accompanies the mix with an acoustic guitar. While Glenn is not a lead guitarist, he is an adept rhythm player. The mixed live and computer generated sound format is now being referred to by the music industry as LIVE ELECTRONICS. His show produces the sounds of an entire band. 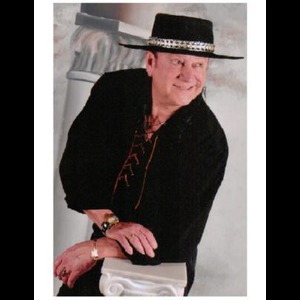 Glenn performs Classic Rock, Country, Oldies/Swamp Pop, and a few Cajun/Zydeco tunes. He has also been known to perform some Blues, Soul, and Pop songs. He offers many standards from all eras and covers male tunes from George Jones to Kid Rock. 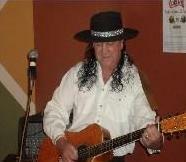 Glenn has also created his own version of several femal vocalist songs from such artist as Patsy Cline and Brenda Lee. His very popular original songs are usually included in his performances along with the vast variety of music he offers. If your event is public, in addition to his musical talents, Glenn is a business marketing and promotion strategist. After being booked, he will advertise your facility or event in multi-media outlets with press releases, hard copy mailing, flyers, emails, and Internet ads. We were very pleased with the entertainment provided by Glenn! He really made the party a big hit! I would definitely hire him again!! Please note Glenn, A Band Of One will also travel to Cecilia, Lafayette, Saint Martinville, Arnaudville, Carencro, Broussard, Cade, Scott, Sunset, Youngsville, Duson, Milton, Maurice, Port Barre, Lottie, New Iberia, Opelousas, Church Point, Grand Coteau, Krotz Springs, Leonville, Loreauville, Rayne, Fordoche, Erath, Delcambre, Lawtell, Abbeville, Avery Island, Branch.